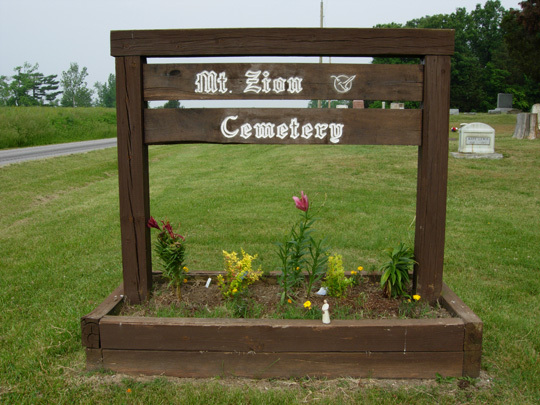 Directions: This cemetery is located in Blissville Twp., Illinois, just east of Ashley, Illinois. Take Rt. 15 east out of Ashley, for approx. 2.10 miles. Take Old State Road (Rt 15 turns to the left, and Old State Rd is straight ahead). Old State Rd. turns into Seville Rd. as soon as you cross the county border. Take Seville Rd. for approx. 1.7 miles. The cemetery is on the left (north) side of the road.